Clint is an exceptional real estate agent. He listened to what I was looking for and helped me find my dream home. He helped me in every way ..
Best selection of carriers and options to save the most on your insurance! I love getting drinks on the beach with a great drink special and happy hour! Best Happy Hour in Cocoa. Cool lounge to see bands at eat good food at! We hired Kevin Burke to optimize our website and add a page promoting new services that we were offering in the commercial restaurant industry. Kevin came in with a really .. 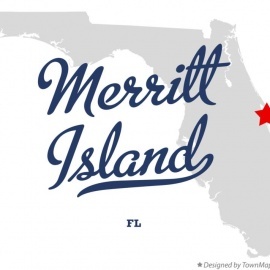 The Merritt Island National Wildlife Refuge is a popular attraction in Merritt Island and consists of nearly 140,000 acres of land. It's home to over 300 species of wildlife including bald eagles, manatees, alligators and sea turtles. Visitors can also take a drive through the Black Point Wildlife Drive to view different types of plants, waterfowl, and shorebirds. There are also boat tours in Merritt Island including Dolphins Paradise or Coastal Lagoon Tours. You'll also find plenty of dining and shopping options in this island town and a mall with over 95 shops and restaurants. The Best Irish Bars in Cocoa Beach Perfect for St. Paddy's Day! You are Invited to the 1st Annual Satellite Beach Pop Warner Casino Night!! The Eastern Caribbean JumpOff Cruise! Join us as we explore the Eastern Caribbean Islands on this luxurious 7 day sailing. As with all of our group cruises there will be prize drawings every day! 3rd Annual Event! Come join us at Space Coast Book Lovers Author Signing Event 2019, being held in beautiful Cape Canaveral, FL on Thursday, June 27th - Sunday, June 30th. 2nd annual Business Acceleration Summit at Sea! Setting sail on the Carnival Liberty, We will completely take over the Bahamas!!!! Get ready to come aboard and meet couples from all around the world for the Couple Of Forevers Couples Cruise! All are welcome to join us for the Couple Of Forevers Bahamas TAKE OVER!!!! Carnival Elation cruise ship Jan 11-16,2020. 5 day fun to Amber Cove Dominican Republic and Grand Turk. Amber Cove has a separate area with a resort like feel for the passengers a mini paradise!